What a wonderful World of Football! Only a few weeks ago, we witnessed both internationally and locally, a cornucopia of fabulous football. In the World Cup we witnessed 4 great matches to conclude the quarter final rounds. On Friday July 6th, we saw…. Uruguay knocked out by a very impressive French victory and Belgium moving on with a decisive win over Brazil ensuring an all European Semi Final and consequently an ALL European Final. On Saturday July 7th, the world saw, with great anticipation…. Sweden v. England: England winning comfortably over Sweden, and a nail biter with Croatia progressing through over the hosts Russia. Both of the matches were shown in a few places around Louisville, including Molly Malone’s in the Highlands and St. Mathews as well as Saint’s in St. Mathews and the Mellwood Tavern in Butchertown. I want to, however go into a little more detail about my experience at Molly Malone’s in the Highlands. If you were not one of the lucky ones to be at Molly’s you missed a fabulous watch party beginning with our friends at Soccer City Radio bringing their live radio to kick off our day. Soccer City Radio Lance McGarvey & Kevin Kernan. To my great surprise at 10 am in the morning, Molly’s was standing room only! I was expecting the bar to be busy but I was not expecting Molly’s to be “Busting at the Seams”! During and after the England v. Sweden match I was so honoured and privileged to meet so many new people locally and from across the country & globe. 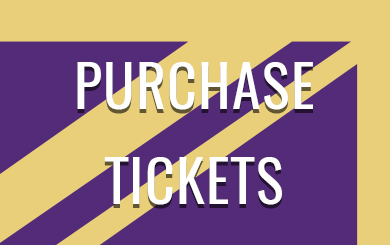 Our representative from Louisville City FC, Michael Gadd, also was able to secure brand new season tickets and new supporters to Louisville City FC, due to the warm welcome and sense of community many of our visitors experience at Molly’s yesterday. I am going to tell you about some of the lovely people I met yesterday. First, at the end of the England match yesterday I was approached by a Swedish lady who was there to watch Sweden’s attempt at defeating England and at the end of the match she gave me her Sweden scarf . Thank you so much Cecilia! The scarf that Cecilia presented me at the end of the match will be displayed at Molly’s for all to enjoy. Thank you Cecilia for being a true supporter and I hope to see you in Scouse’s House very soon. Next I would like to introduce a lady from St. Louis. Lynda, who is a Brit ex-pat visiting Louisville and needed a place to watch England’s World Cup challenge. During my brief conversation, I learned that Lynda is a Nottingham Forest supporter and is just as disappointed as us this season that St. Louis & Louisville City are not in the same conference. It sure was a pleasure to meet you Lynda! I am sure we’ll meet again either in Louisville or St. Louis. There were also several others at Molly’s yesterday who it was also such a pleasure to meet, such as Caroline from Memphis Tennessee. She was a pretty good soccer player in her own right, and was at Molly’s looking for a good place to watch soccer. I think she hit the “Mother Load” when she walked into Molly’s for the England game. I also had the pleasure of meeting Chel-C & David out of town working at Churchill Downs. And the match after The England game I ran into the Corak family, also avid Croatia supporters. I could go on and on about the many new people I ran into that morning, but there were so many fabulous people at the England & Croatia matches, that I could keep you reading this all day. My point is I ran in to so many different people from all walks of life, religions and political points of view with only one thing in common, SOCCER! Soccer is so powerful and outreaching and it brings so many people together of any age, colour, religion, social standing, race or political orientation. Louisville is growing so fast with a huge diverse population of immigrants from all over, and it warms my heart to see so many people getting together to share time together over a simple soccer match. On that Tuesday a good crowd was in attendance to watch the World Cup Semifinal between France v Belgium. The French team narrowly edged Belgium and the French were the first to punch their ticket to the World Cup Final on Sunday 15th. Wednesday, to my great surprise Molly Malone’s began to fill up in anticipation of the Croatia v. England match. Once again, even with 2 additional bars open, Molly’s was standing room only by 1:30pm. For the 2nd England match in a row I was able to meet several more new British Ex-pats who were experiencing Molly’s for the very first time. The most notable was Katherine a native of Aberystwyth in Wales who now calls Louisville, KY her home. Other than the unfortunate final score on that Wednesday, this World Cup has been one that I will remember fondly for many years. I have been able to educate some people, new to soccer, and meet so many people who I hope will continue to join me for Liverpool games at Molly’s and more importantly in Scouse’s House to come enjoy live professional football in their own back yards. There are so many locations and opportunities to come watch the world’s best football action right here in Louisville. If you are interested in finding out about the many local supporters clubs in the area or to join me in Scouse’s House and support our Louisville City FC, please reach out to me. You will be able to find me at most of the Liverpool matches at Molly’s and also check out scouseshouse.com or email me personally on kyscouse@gmail.com. For my final piece of this rambling blog I would like to address the Louisville City FC’s current coaching situation or the lack thereof. I have over the last few weeks received many different texts and emails from supporters concerned over the departure of our beloved Head Coach James O’Connor, Assistant Coach Daniel Byrd and Goalkeeping Coach Thabane Sutu. This maybe the first time this has happened to this club, Louisville City, and I can assure you that it will not be the last. We have to expect change in the leadership areas of our club. A coach and his immediate staff will be rewarded for over achieving (A bigger club comes knocking, e.g. Orlando City). Conversely, poor results and form will often be met with equal and opposite reactions (Orlando City fired their coach for poor results). It is the nature of professional Football. Not long ago we saw our Louisville City FC play a match away from home against the Tampa Bay Rowdies. Prior to the game there was a lot of concern regarding our trio of interim coaches. I can confidently say that the foundation philosophy of our club has not changed, the philosophy engrained into our professional players is still the same. As in the beginning there was a trio of head coaches, they have been replaced by a trio of interim coaches. 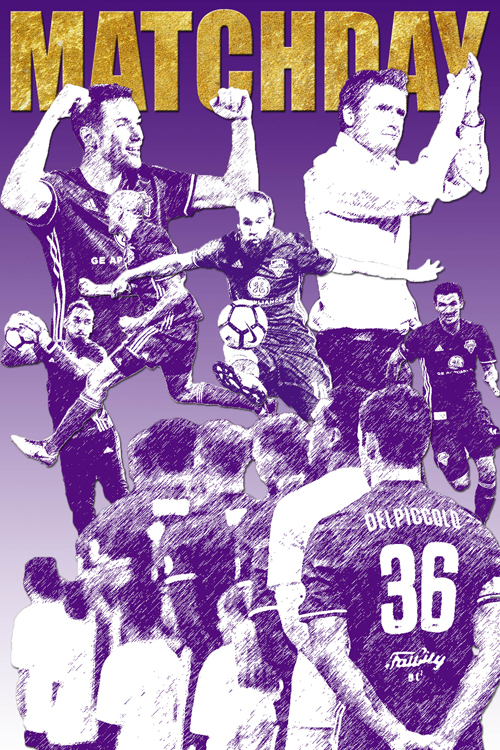 Louisville City FC remained steadfast and gained an impressive victory over Tampa Bay with a brace of goals from Kyle Smith and Cameron Lancaster, a job well done by our interim coaching team of George Davis IV, Paolo Del Piccolo and Luke Spence. Please have patience with them. Let’s now look at the search for a new head coach and assistant coaches. In the beginning we had no idea what we were getting when we first met James O’Connor and his assistants. If you ask me, we were fortunate that the ownership of our team were able to identify and attract a 1st class coach to our team. So let’s trust them again to make the correct decision for our club. Let me remind each of you that the ownership of our club are Captains of industry in their own rights, they are Millionaires with many successful businesses between them. It is in their best interests to search for and identify the BEST possible candidates for the job. Our new coach will be in for some very high expectations upon arrival at the club, whoever that may be. I do not want the leadership of the club to make any knee jerk reaction appointments we may regret down the road. I urge them to please take your time and appoint the very best candidate to our team to take us forward. I am sure we have all had grandfathers and fathers who have ingrained this in us all. Measure twice, cut once or more haste, less speed if you will. It will all happen in time. Please be patient, we will see an outstanding coach for our team soon enough!